It all started when this gorgeous Mori yarn went on sale at purl soho, which is dangerously close to my office. Yay, I thought, I’ll make fingerless gloves for everyone! I bought five skeins in lovely colors. More than a month later, I’ve completed one pair, and started a second. It turns out I need to knit on size 1 double-pointed needles; they are barely bigger than toothpicks. The gloves were meant for Christmas presents, then New Year’s, but soon I will be handing out gifts for unlikely holidays. Look a Martin Luther King’s Day pair of gloves just for you! But maybe an unexpected gift in January, OK possibly February, is just what’s needed in the heart of winter. 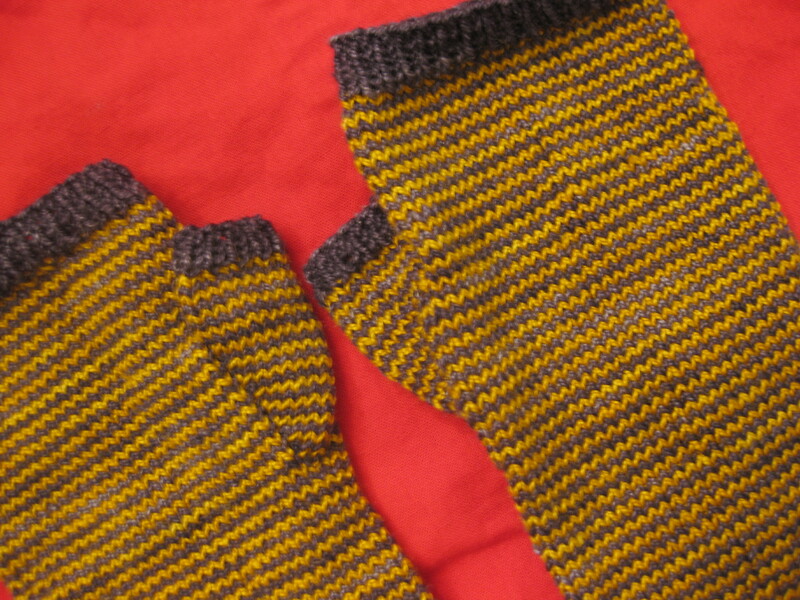 The pattern is also from the good people at purl. Like all the patterns on the purl bee, this one for striped fingerless handwarmers, is well written and turns out as expected. Brig! They are gorgeous. I will accept my pair as late as April if need be! I was thinking of pale pink and charcoal gray for you–what do you think? Or gold and pale pink? Might have to make some swatches! Yum. They all sound delicious. You are a wonder. 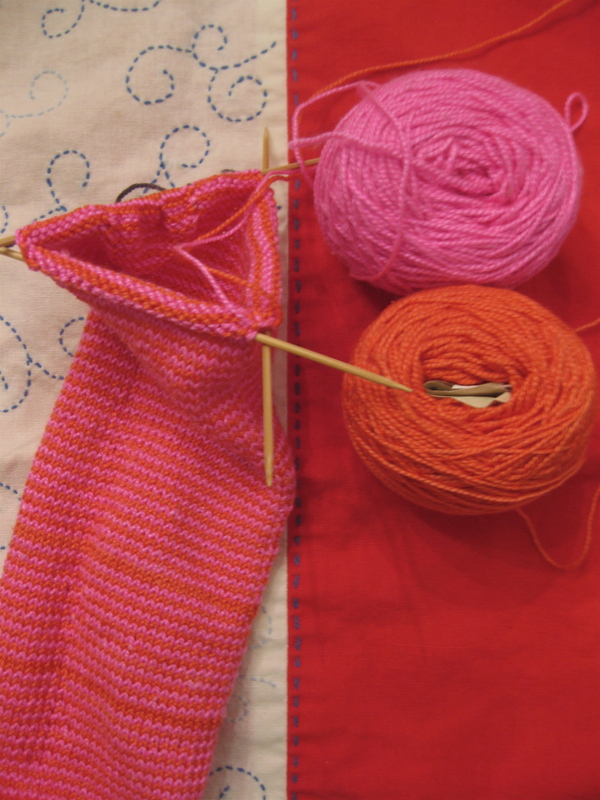 So, which is more fun for you: knitting or sewing? I’ve never managed to learn to knit, so I can’t compare, but with sewing, there can be a certain amount of near-instant gratification. But knitting seems so timeless and cozy, so very Little House on the Prairie!